It is our pleasure to introduce to you the band that is destined to be your next country obsession, King Calaway! 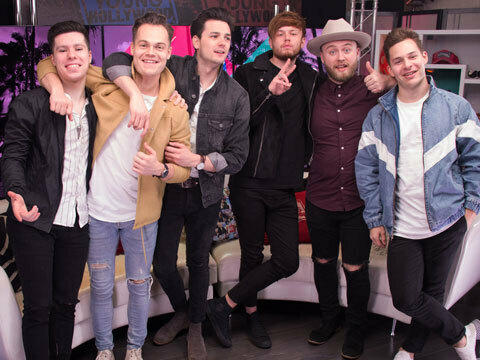 The sextant joins us in the Young Hollywood Studio for a chat about their radio tour, pounding the pavement to get their music in people's ears, and the incredible fan feedback to their song "World For Two" they have received so far! Caleb, Chris, Simon, Jordan, Chad, and Austin tells us where they were when they first heard themselves on the radio and share their experience playing at the Grand Ole Opry! Plus, they discuss the perils of tour bus bunk beds, what else is in the works at the moment, and one of the boys reveals his celebrity crush!